There is a lot of wildlife at Chilbolton Observatory. Apart from the unwelcome rabbits, there are some delightful visitors who have made their homes amongst the radars, lidars, aerials and other instrumentation. 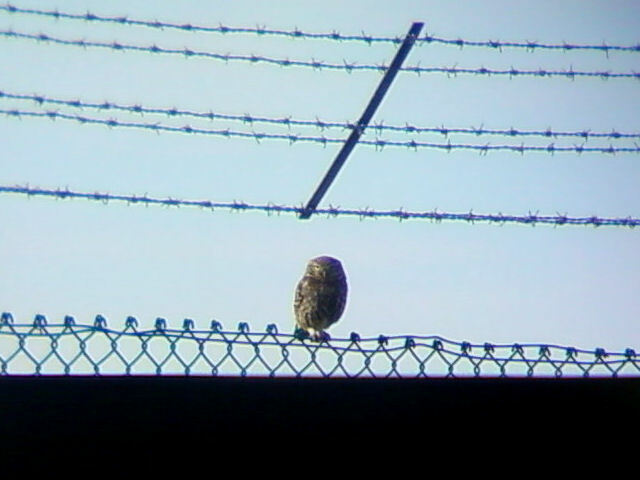 However, the favourite here must definitely be the family of little owls (Athene noctua). 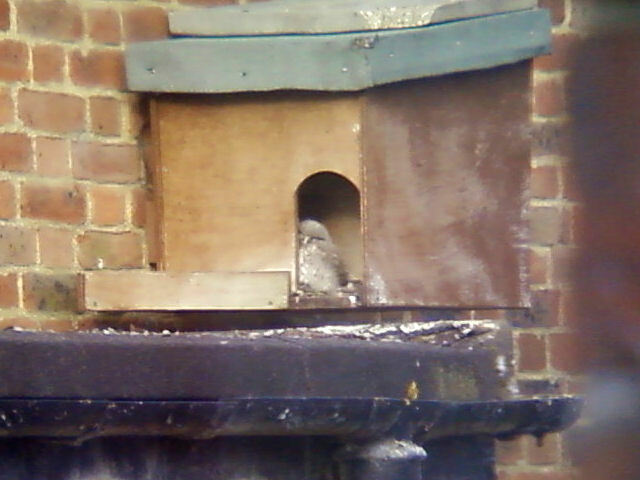 They have nested in an owl box on one of the buildings. Out of a clutch of four eggs, one chick has survived (so far). However, life has been tough for the youngster, as the other day it fell off the box platform and had to be put back in by hand. "I am not a morning person"... Baby little owl peeks out from the nesting box. 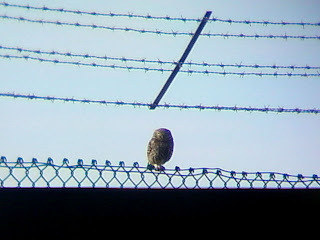 "Guard Duty"... One of the parent little owls glares down the photographer from the back fence of the Observatory compound.